Garvin postulates that learning organizations are enterprises skilled at creating, acquiring, interpreting, transferring and retaining knowledge; purposefully modifying behavior to reflect the new knowledge. There are six critical activities that must transpire within a learning organization that includes: (1) the collection of data and intelligence, (2) bench-marking or learning from the successful practices of others, (3) learning from past history and experience, (4) experimentation of new ideas, (5) the encouragement of systematic problem solving, and (6) sharing that information throughout the organization. Knowing what to do, doing what we know, and following through are the three key components that affect the learning process. Failure will most likely occur when leaders seek solutions to problems from a very narrow parameter and from one source only. Learning is not a random event; it occurs as a result of pursuing clearly aligned goals (Garvin, 2003). Furthermore, it is difficult to learn effectively from one experience alone. This research examines learning organizations and the significance of components that affect the learning process including: (a) an openness to new perspectives; (b) receiving unfiltered information; (c) the acknowledgement of strengths, weaknesses, and biases; and (d) the ability to perform with a sense of humility. Organizations that apply specific learning mechanisms allow systematic collection, analysis, storage, dissemination, and the use of information that is applicable to their effectiveness (Lipshitz, Raanan, Popper, Micha, Oz, & Sasson, 1996). In addition, effective learning organizations must remain open to new ideas. 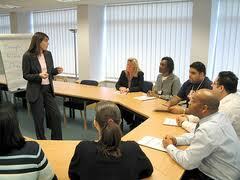 Cooperative education focuses on the basic conceptual differences between education and training. In a rapidly changing world however, neither education nor training has the longevity they once enjoyed. Innovation for example, must begin with the recognition that the instructors do not produce learning. Learning is conducted by the learner alone and occurs over a period of time, especially once the student engages actively in the new acquired training. Effective teachers need to become designers of the learning process in participation with the student. To ensure that organizations remain in control of their destiny, each one must develop new approaches, evaluate, educate, and make applicable adjustments in order to creative a cohesive model. Successful learning organizations create clear communication, engage in advanced levels of problem solving, and consist of personnel that are highly motivated, accountable, and work as a cohesive team (Cates, 2009). 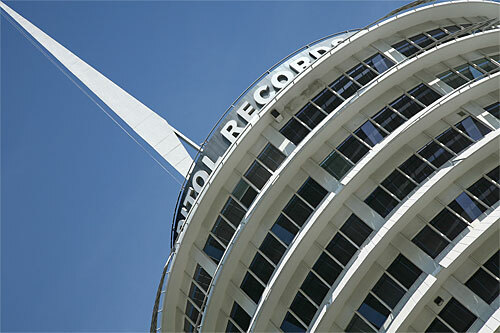 Capitol-EMI Records, my former place of employment, for example, evolved into a cohesive learning organization as a result of the ongoing development from technological upgrades. Management learned to work together as a team in conjunction with the manufacturing plants, corporate offices, and the artists to transit from each model of intellectual property. Initially, the product delivery system for music albums, for instance, was comprised of a porcelain record disc. The next phase of development occurred when the delivery system adapted a more durable vinyl format. Music products continued to evolve with the development of the 8-track system, which was followed by the introduction of a more condensed version in the manufacturing of cassette tapes. The next shift occurred when audio manufacturing transited from an analog system to a digital platform when the compact disc was introduced. Music was now produced from a higher quality audio signal whose digital representation paralleled that of a live concert event. Although compact discs are still available for purchase, the current industry standard allows consumers to download products in an MP3 file format direct to their electronic devices. Capitol-EMI, along with all the other record industry giants learned to evolve and adapted to the changing trends and technologies to contend with the competition, remain profitable, and maintain a share of the marketplace to satisfy consumer appetites. 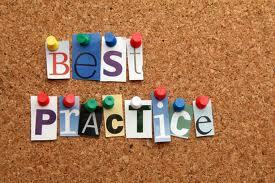 Research conducted by Bersin and Associates (2008) identified 80 organizations that represent best practices in the implementation and execution of the learning process that drives their business. These institutes were chosen because they exceed industry averages and incorporate many best practice mechanisms of organizational learning. Executives provided details for this research on a variety of factors including: (a) the types of learning services implemented; (b) the relationship between HR and corporate learning, (c) the performance management methods adopted, (d) attention to the needs of young workers, (e) the use of advanced technologies, (f) e-learning capabilities, (g) employee career path guidance, (h) global training capabilities, and more. Their research concludes that the organizations developed advanced skills and maturity in strategic planning, learning programs and delivery systems, effective talent management, efficient technology and infrastructure, and valuable performance measurement and analysis (Anonymous, 2008). One of the outstanding learning companies identified in the Bersin research is Home Depot (HD). HD employees take pride that their organization is a people-centered institution. Staffers share the consequences of both successful and failed performances. In addition, HD displays solidarity during challenging times and a keen ability to learn from their hardships. One such example occurred when CEO Robert Nardelli assumed the helm of the organization. Under his militaristic style of leadership, the corporation suffered significant market share loss. The organization discovered that the former GE leader’s tactics which received success in his previous arena, proved ineffective in the HD culture. Nardelli was eventually removed and the HD Board of Directors made effectual changes as a result of that valuable experience. Acquiring knowledge from one experience only does not produce strong results, especially in a competitive expanding global marketplace. In addition, learning organizations must remain open to innovative ideas and cultivate a climate that supports team learning in alignment with organizational goals. Organizations that embrace openness to criticism and accept change, where the rate of learning is equal to the rate of change, will have a better chance of longevity. A healthy learning environment encourages good decision making that is derived from wisdom, knowledge, and experience, often as a result of bad decision making. Organizations that can learn from their mistakes and identify opportunities for learning that tend to get lost along the way, will most likely discover and remain on the path of a long and prosperous existence. David, G. (Director). (2003). Building a more effective learning organization [Motion Picture].